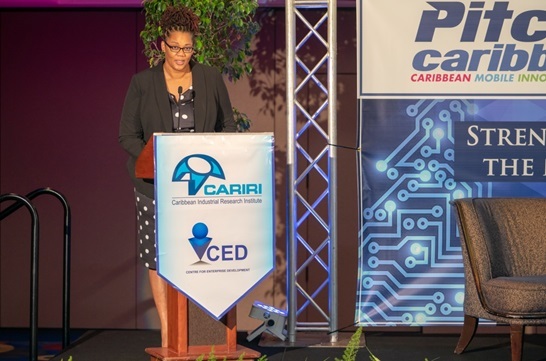 On Friday 16th November 2018, the Caribbean Industrial Research Institute (CARIRI) hosted the PitchIT Caribbean’s Alumni Network Launch at the Trinidad Hilton and Conference Centre, which represents an important next step in promoting a vibrant regional mobile Start Up community. 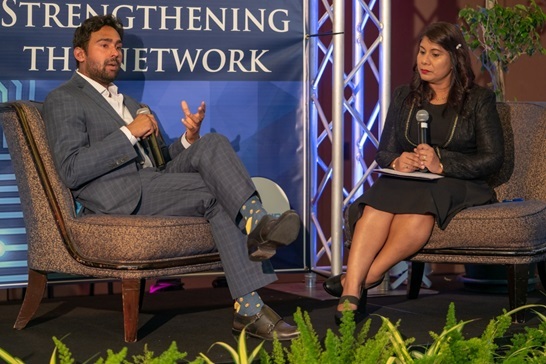 The hosting of this event in Trinidad and Tobago represented an opportunity to bring the stakeholders in the mobile app development community together, with the aim of building strong networks among entrepreneurs and business development entities, thus contributing to the promotion of the development and enhancement of the mobile app ecosystem. 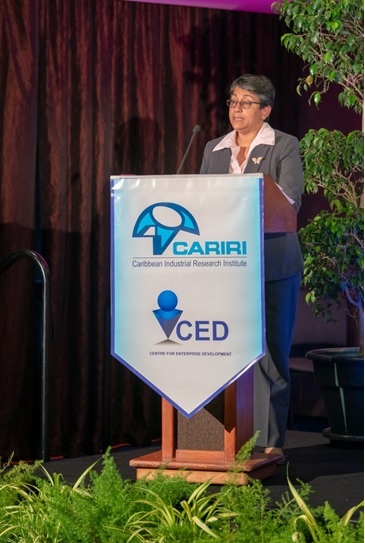 The Permanent Secretary in the Ministry of Planning and Development, Ms Joanne Deoraj delivered the feature remarks and stated “The Government welcomes and fully supports this PitchIT Caribbean initiative, recognizing that the key tenets of ICT, Innovation and Entrepreneurship encapsulated in the Project constitute developmental planks that are central to the achievement of economic transformation objectives of Sustainable Growth and Diversification”. Additionally, she went on to say that “Mobile technology, in particular, offers a potential platform for economic growth and high quality jobs in the mobile industry, while mobile software and apps also have the potential to catalyze other sectors such as healthcare or government. Apps are now being developed at virtually the speed of light. The potential therefore exists through Innovation in ICT to not only build competitiveness, but also create a virtual explosion of entrepreneurial activity in Trinidad and Tobago”. Ms Melissa Johnson, Project Lead at Lumin Consulting Incorporated in Jamaica joined us at the event and expressed her pleasure at the progress that was made by all the regional hubs stating her excitement that the Alumni network was now being formed as it would create new opportunities for these mobile app entrepreneurs. The evening also saw another first for CARIRI as it launched its first 100% in-house built mobile app for its client, Sookhai’s Diesel Service Ltd (SDS). The CARIRI Data Analytics team has been working with SDS over the last few months to create an integrated customised solution for the Management and clients of the company. This solution included dashboards which generate relevant information for the Management of SDS to make more timely and informed decisions. The next part of the solution includes an app called the SD STAR app for customers; who will now be able to track their vehicles at every point in the service system. This innovative app is the first of its kind in the country and we expect it to change the face of the service industry. PitchIT Caribbean is designed to strengthen the Caribbean Mobile Innovation Ecosystem and foster the growth of sustainable and competitive mobile enterprises through activities that will target early stage Innovators, and guide them to market readiness. PitchIT Caribbean is administered by a University of the West Indies Consortium led by Lumin Consulting Incorporated in Jamaica, formerly UWI Consulting Incorporated. The project is funded by the Government of Canada and executed by the World Bank Group. It spans 14 Caribbean Community countries, in five of which mobile hubs, referred to as mHubs, have been established under a project partnership arrangement. The mHub partners of PitchIT Caribbean are all focused on building mobile innovation communities in their respective countries by engaging a variety of local stakeholder groups. CARIRI is the mHub partner in Trinidad and Tobago and plans to further engage the mobile app community via various initiatives in the coming year. Mr Richie Sookhai of Sookhai’s Diesel Service Ltd and Ms Lynette Akong of CARIRI’s Data Analytics discussing the SD STAR App.